I grew in the great state of Texas. Just like in the second greatest state that I’ve lived, California, there was an amazing Mexican influence. From the language to the food, our mouths never lacked for excitement. One of my favorite dishes was guacamole, but I always assumed it was loaded with calories. It was always a rare treat, but once I looked up a recipe and started adding the calories, I found it wasn’t that bad for me… at least the way I make it. So here we go! 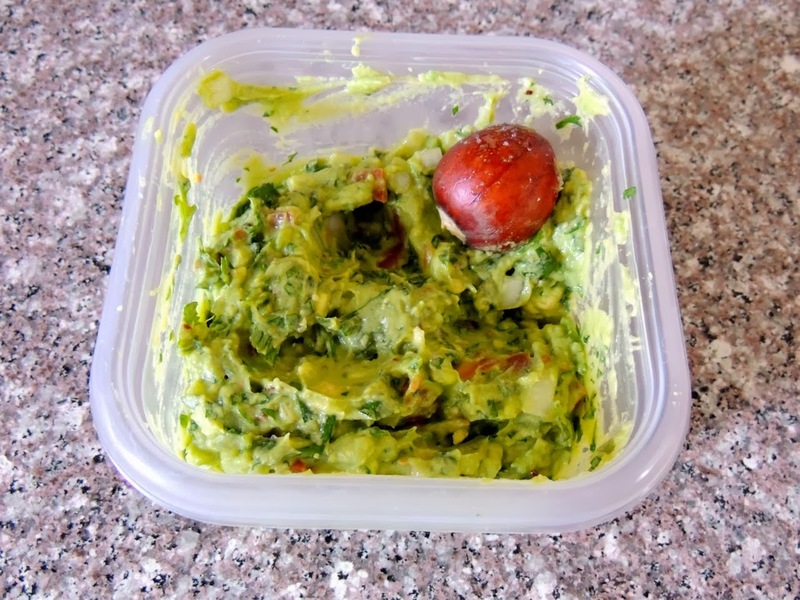 Makes a little over 2 cups of guacamole and has less than 600 calories in the entire recipe. *All quantities are subject to taste and availability. Maybe start with a little less and add more to taste. You can always add; you can’t always take it out. To figure out exact calories, I start with a food scale and a 3-cup container. Zero out the scale. Cut the avocados in half. 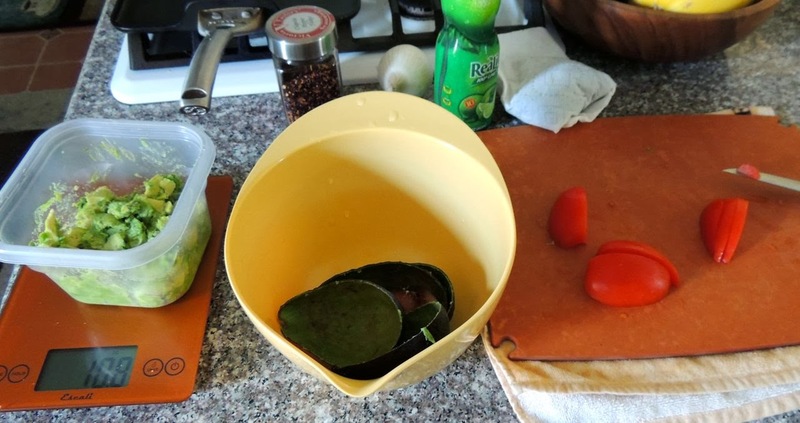 There’s a giant seed inside, so it’s easier to rotate the avocado across your knife rather than cutting straight down. Remove the seeds, but set aside one seed for later. You can flick the knife blade into the seed, and then turn the knife clockwise or counterclockwise to remove the seed. 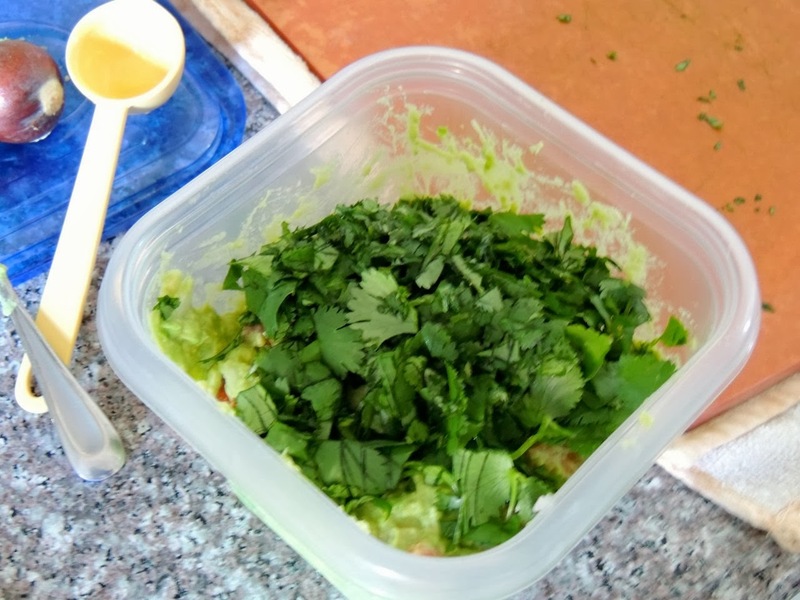 Scoop out all the avocado meat into the container with a spoon and discard the skins. Mix until it’s a paste consistency, but don’t mash. You want the tomatoes to be intact. 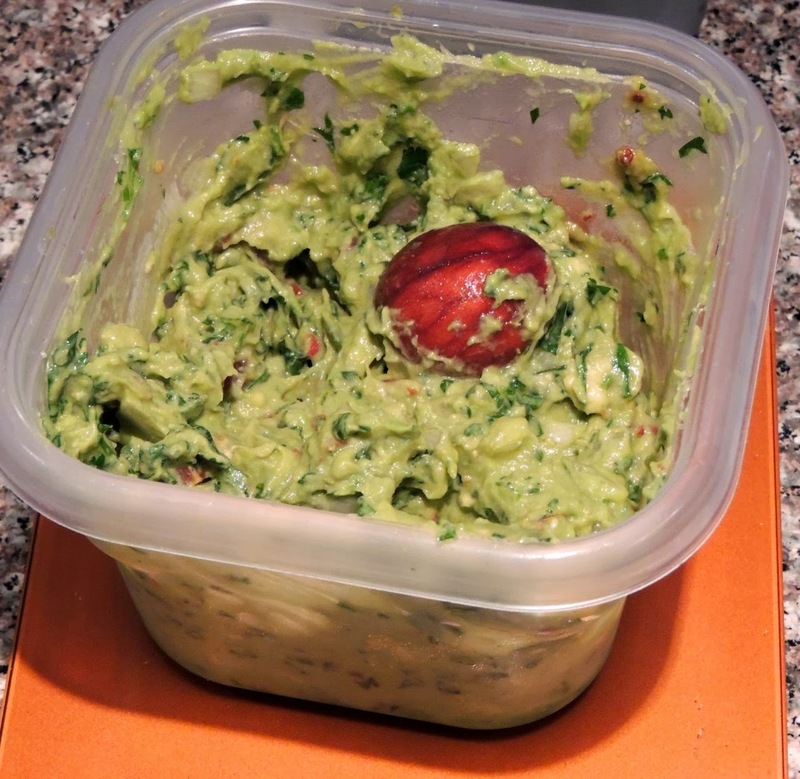 Be sure to store your guacamole with an avocado seed in the container. It will keep it from turning brown.